Elizabeth comes to HireNetworks with almost 10 years of recruiting experience, both in agency and corporate environments. Elizabeth’s areas of specialization are in IT and Technical Recruiting. Focused on building relationships, Elizabeth is dedicated to guiding and coaching candidates during their job searches, actively assisting them in realizing their career goals. 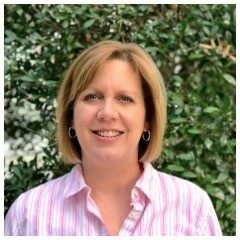 Elizabeth is a former board member, and current active member of the Triangle Recruiter’s Association. She holds a BA in Political Science from the University of North Carolina at Chapel Hill. In her spare time, Elizabeth enjoys attending UNC basketball and football games, volunteering at her kids’ school, and spending as much time as possible at the beach.